Based in Ecuador, Kelo Zuñiga has been leading a team of conservationists to work in an area of 53 hectares of primary rainforest, where hundreds of wild orchids have been collected and resettled in the JATUN SISA Botanical Garden for scientific research, plant conservation and environmental education. Also collected for cultivation, research and artisan interests are many plant species from different parts of Ecuador, including medicinal plants, wild fruits of the Amazon, tropical fruits and exotic fruits, fine wooden trees, ornamentals and hallucinogens plants, as well as plants, trees and bushes for making arts, utensils, jewellery and body ornaments, both for everyday uses and also for dances, rituals and shamanism. In addition, the team urgently needs donation of brand new or secondhand camera(s) and video camera(s) to better document field works and findings. The JATUN SISA and Wildlife Sanctuary Botanical Garden, established by Mr Kelo Zuñiga in 2004, is a Botanical Garden within the primary tropical rainforest of the Ecuadorian Amazonia, which offers all our national and foreign visitors the opportunity to meet the primary tropical rainforest in all its splendour and beauty, always safely guided by an indigenous group of the area and former members of the Ecuadorian Army known as “IWIAS Demons of the rainforest”. The first 50 hectares of primary rainforest were acquired by their original owners before they were deforested solely for their timber trees, causing the rest of their biodiversity, flora and fauna as well as natural resources to be prominently lost. We have been working steadily since 2004 to acquire the plant collections so as to receive our domestic and foreign visitors and to provide them the necessary information and knowledge in each of the sections forming the JBJS. Geographic location: The JATUN SISA Botanical Garden is located in the Central Amazon Region of Ecuador in the estate marked with the number 24, in the geographical coordinates of Latitude -1.232617 and Longitude -77.982967, to the eastern Ecuador, northwest of the Province of Pastaza, 40 kilometers via Puyo – Tena, and 15 Kilometers from Canton Santa Clara taking a road of second order (of ballasted), located 8 kilometers from the Andes and the Nature Reserve Llanganates. The relief varies considerably between the 1080 meters, at the margin of River Piatua, bounded on the north by the River Piatua, south to the road of second order. Climatic characteristics range from the foothills of the Cordillera Oriental to the height of 1080 meters. Its average annual temperature fluctuates between 18 to 24°C; it is uniform throughout the year and receives an annual rainfall exceeding 3,600 to 4,000 mm. Scientific research, eco-tourism and environmental education of JBJS are all aspects of the project, which is conducted in the establishment of the JATUN SISA Botanical Garden and Sanctuary of Wildlife, comprising a land area of ​​53.2 hectares of primary tropical rainforest in the Ecuadorian Amazon. This project is focused on the collection of native plants and seeds of the Ecuadorian Amazonia for their protection, reproduction, reintroduction of species and reforestation (as shown in https://www.youtube.com/watch?v=Q0SIy9bM_c0) aided by our having a live germplasm bank. Besides being an environmental education project (where the indigenous population of the surrounding communities will be recognized as guides and environmental educators), the establishment of this project seeks to bring together scientific research and the indigenous Amazonians traditions, and to put this knowledge to the reach of students of different levels of education (primary, secondary and tertiary), interns, and of the scientific research of researchers (both national and international). The section of orchids will be structured with the different kinds of orchids known by science and by the indigenous people of the Ecuadorian Amazon in ancestral way. Also, we shall protect and catalog in situ the existing species within the 53.2 hectares of land that make up the total of the botanical garden. We shall conserve, rescue and collect the different species of orchids ex situ and in situ during various expeditions at various locations of the geography of our province and the country, where due to agricultural expansion and livestock, the primary forest or secondary forest is being cut down. This project offers a way to preserve these species, most of which are endemic in our gardens. The preservation, conservation, reproduction and scientific study of these species need to continue. 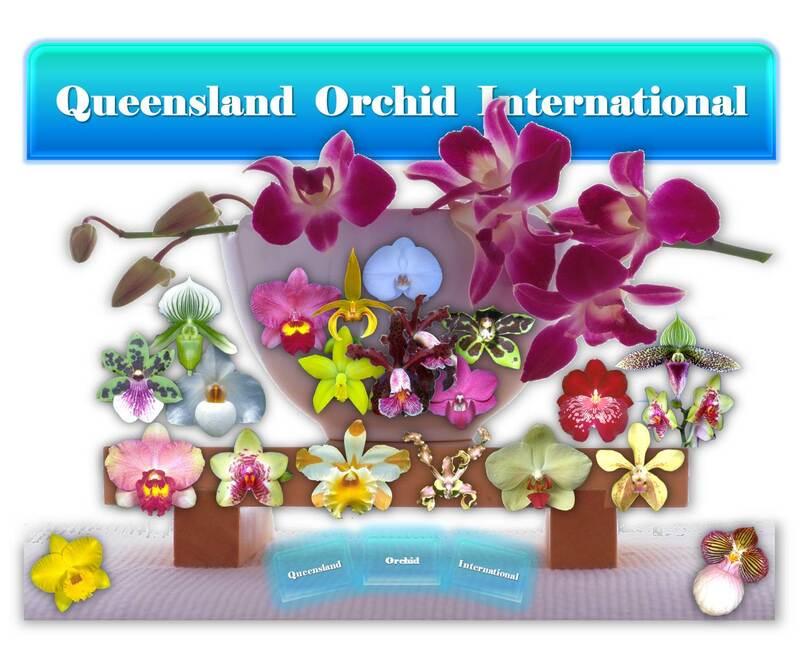 Otherwise these species of orchids would be lost irretrievably due to the destruction of their habitat. In addition, the opening of this region to eco-tourism and environmental education will allow us to ensure that our project will be self-sustaining. (1) The section of medicinal plants and of laboratory will be structured with medicinal species of plants known by science and used by the indigenous people of the Ecuadorian Amazon in ancestral way, in conjunction with the search for new species of medicinal plants for study, taxonomy and scientific research, as well as for conservation and propagation. All of these are important because the accelerated deterioration of the tropical rainforest of the Amazon will exclude thousands of native plant species from being known by science and being part of scientific inventories. (2) The section of wild fruits of the Amazon will be structured with plants and trees of wild fruits, which are exotics and comestibles. These are wild fruits which have been consumed by the indigenous population in ancestral form, as well as those which have been consumed by the wild animals of the Ecuadorian Amazon. Also, the section of this project will enable us to obtain the seeds of these exotics species of plants in order to reproduce and reintroduce them in the 53.2 hectares of the botanical garden (with firm possibilities to expand this project to the 500 hectares). In this way, we can incentivize the sustainability of wildlife and the propagation of these species within the area of influence of the project. (3) The section of tropical fruits and exotic fruits will have a tree nursery in order to cultivate many kinds of tropical and exotic fruits that have commercial value and can generate income for the population of the surrounding communities and adjacent to the project area. To encourage farmers to cultivate these fruit trees, they will be given the plants, especially those that bear citrus fruits (oranges, tangerines, grapefruits, lemons, guavas, avios, fruit of bread, peanuts, tree, mountain grape, grape of stick, camos, etc), in addition to providing technical assistance for cultivation. The local population will also be the direct beneficiaries of the objectives of this project. (4) The section of fine wooden trees is another of the ambitious objectives of this long-term project, which will allow us to reproduce all species of timber trees. The scope of the project is to acquire, cultivate and propagate them, and to have a live seed bank for the continuity of species and their conservation, since these species require many decades to achieve full maturity. (5) The section of ornamentals and hallucinogens plants is structured with two major classes of exotic plants: a section for the heliconiario and one for the bromelario, where we shall collect the different wild species and various kinds of plants of each species of our country for their conservation, protection and propagation, as well as for scientific study of their different kinds of scents applicable for use in the formulation of new fragrances and cosmetics. The hallucinogens plants class stems from an innovative proposal that will allow us the collection of plants known and used by the indigenous of the Amazonian in ancestral form, such that they may be cultivated and gathered in one place for scientific study, and to facilitate training, knowledge, and education of our visitors concerning the dangers of their misuse, and also of their potential scientific applications. This is a very spiritual area for our indigenous as these are used in many of their ceremonies and rituals as invocations, predestination, healing, shamanism and so on. (6) The section of plants, trees and bushes, of artisan interest is led by the Group of Women Artisans “Llakat Warmi Kuna”, whose seeds are used by the population especially by the indigenous artisans of different nationalities of our province in the manufacture of various articles of daily use and for sale, which means an economic income that goes directly towards strengthen the economy of their families. These articles include necklaces, earrings, crowns, ornaments for the body, wristbands, headbands, traditional objects used in dances and shamanism, as well as decorative objects and figures made in lightweight woods. This is another of our long-term objectives, because there are trees that need many years to reach full maturity to begin to deliver their product. (7) The project will be on a permanent basis because our mission is to continue recovering and reproducing new species of trees, vines and plants, as well as the wildlife in the Garden. Seeking to extend the project to other communities within the Province, we are encouraging the rescue of these commercially important plant species, and at the same time, we are protecting our biodiversity and wildlife. So, by necessity, data collection and project evaluation will be ongoing. [PDF ~3.1M] Area of five acres in the Sierra Region like to purchase. [PDF ~547K] A brochure about the Jatun Sisa botanical garden. In Spanish. [PDF ~652K] “Plan Estrategico del Jardin Botanico ‘Jatun Sisa’”. A detailed project plan. 12 pages, in Spanish. [PDF ~1001K] A map of the garden, in Spanish. [PDF ~551K] Photos of some of the plant species that live in the botanical garden. [PDF ~1195K] Photo gallery of the Jatun Sisa Botanical Garden. [PDF ~1509K] Collage of some of the flowers that can be seen in the garden. Wild Ecuadorian orchids in the JATUN SISA Botanical Garden from the amazonia of ECUADOR. Join us ! !., to our campaign, click in the next link !!!!!!! Here we present another video of the GRAN PIATUA that is in serious risk of losing its ecological flow because of human ambition that will divert its waters to build a mini hydro by a private company through the tropical rainforest Amazon, and cause the permanent loss of this beautiful river that is the reserve of pure water for the planet. We have started a campaign to stop this ecological damage in the following direction. 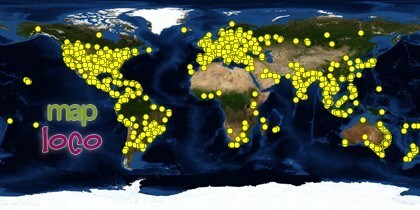 We invite you to visit and share with your friends in this crusade that is everything because it is about protecting our planet. We must join forces and put our grain of sand. The fight that we do is in the same place of the facts in defense of our planet. Biotechnological research in the JATUN SISA Botanical Garden Jardín Botánico “JATUN SISA”, created by our young scientists in Biotechnological Engineering in the Ecuadorian Amazon. Join us. Wild Ecuadorian native orchids in their natural habitat the JATUN SISA Botanical Garden from the amazonia of ECUADOR. Join us!! 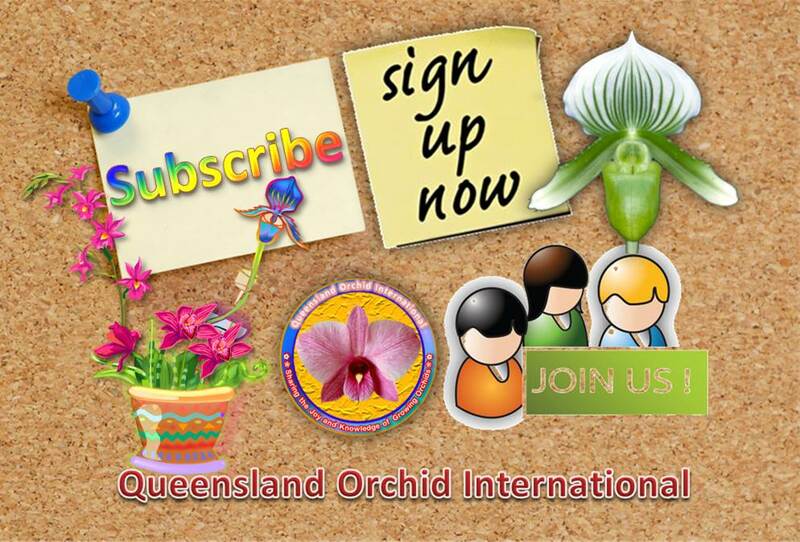 Visit the Queensland Orchid International Facebook Group to join, share photos and videos, leave comments, have discussions, as well as post questions and answers. You are very welcome, Kelo! 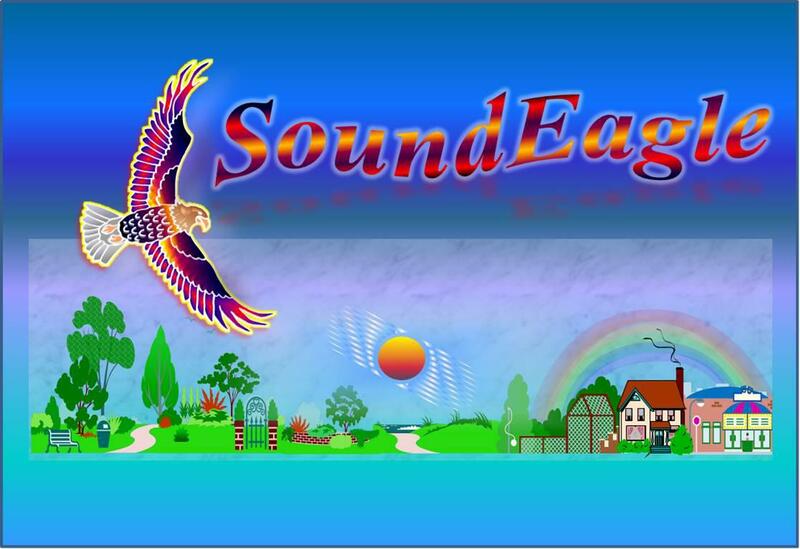 SoundEagle has again expanded and updated this post, and would like to wish you a joyous festive season and a wonderful holiday! Happy 2015! Hello Kelo! How have you been? Ensuring and maintaining the richness of biodiversity of your rainforests are definitely worthwhile and pressing undertaking, Kelo! It seems that you have a well-coordinated team there. Please kindly send my best regards to everyone in the team, Kelo! Thank you. Each and everyone of your project members is a hero, environmental activist and/or a “green warrior”, so to speak. In a sense, the germplasm bank that you mentioned is a kind of repository for a specific biodiversity inventory, which also serves an educational purpose for visitors and the public, lending opportunities for increasing public awareness and discourse. I am delighted to see that there is now a biotechnological research division in the JATUN SISA Botanical Garden created by your young scientists in the biotechnological engineering discipline in the Ecuadorian Amazon. Thank you, sunnymirrors, for your brief comment, though I wonder why you like to visit JATUN SISA Botanical Garden one day. Perhaps your reason might have something to do with not just its being “stunning” but also its being in Ecuador, which is quite close to Colombia, the country of origin for the writer Gabriel García Marquez. There is magic in every moment. And this blog is about contemplating moments of everyday Life that were meant to be written…by different people from various parts of the world sharing their own perspective on the magic of this moment. As Colombian writer Gabriel García Marquez said it not just once but many times regarding to magic realism: there is something magical in every day life situations, this is not something unique or reserved for Latin America… You just have to look carefully. Thank you for your recommendations, will check them at some point. My mum & aunt are big orchid lovers and it seems to me like a whole new world to discover!